All you need to know about a Deceased Estate. Deceased estate information covers the subject of what happens to all the assets and personal items of someone who dies. Their home, car, savings and possessions? According to the dictate of the deceased’s Will, their property and assets are distributed accordingly. The Will is a specialised document and should be drawn up by an expert such as an attorney. However, anyone who is older than 16 years of age, can draw up a will. For a Will to be valid, it must be written or printed. And the signature of the testator/testatrix must be found at the end of the document. Two or more competent witnesses must sign in the presence of the one making the Will. If the Will is made up of more than one page, each page must be signed by the testator/testatrix. Deceased estate Information – What if There is No Will? Of course, there are many instances when the deceased didn’t leave a Will. The law makes provisions for such an event. If there is no Will, your estate will devolve according to Intestate Succession – Act 81 of 1987. The estate of a deceased must be brought to the attention of the Master of the High Court. This must be within 2 weeks of the date of death. Anyone who is in possession of any property belonging to the estate of the deceased must also come forward. 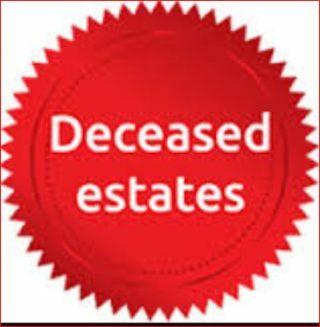 Estates of the deceased can be reported at all Magistrates’ offices. You must complete Form J294 when reporting the event. Still confused about Deceased estate Information? Are you an inheritor but battling to understand some of the deceased estate terms? Secure Legacy plays a valuable role in helping families and business owners with protecting their wealth. They offer solutions for estate planning, drawing up of wills, executor services as well as Trust management. They have a wealth of useful information about deceased estates and will assist you with any questions you may have. Phone them at their Pretoria office +27 12 543 1806, or their Johannesburg office +27 10 007 2376. Email them at pa@securelegacy.co.za. If you are lucky enough to inherit, the money will be paid either by means of a cheque to the person to whom the money is due. It can also be paid by means of an EFT deposit in the payee’s banking account. Deceased estate administration is not for the faint hearted as it’s a lengthy, complex process where beneficiaries, as well as debtors and creditors, have to be all validated. If it all sounds too overwhelming for you, call Secure Legacy and know exactly where your money is bound after you’re no longer here. To get a FREE Life Insurance quote, fill in the form. ← How does Inheritance tax affect you when you inherit?.